Warwick is twinned with Saumur (France) and Verden (Germany), and has partnership links with Havelberg (Germany) and Formigine (Italy). Representatives from all of the towns meet annually to exchange information and ideas, with each town taking turns to host the meeting. One of the activities that have resulted from these arrangements was a joint commitment to a youth camp whereby all twin and friendship towns take turns to host up to 20 young adults with a project of community benefit to work on which encourages an exchange of cultures and ideas. Now known as Eurocamp these have been very successful over the last 4 years. Four participants have been selected for the 2018 Eurocamp, and five went to Eurocamp 2017 in Formigine, Italy. Their feedback has been excellent and they gave a presentation at the Community and Culture meeting on Thursday 7th September 2017. 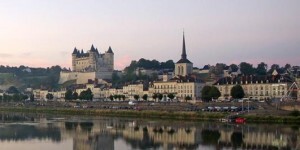 Saumur is town with around 30,000 inhabitants, located between the rivers Loire and Thouet in Western France. It has a chateau built during on the XIVth century for the Ducs d’Anjou, and is surrounded by the vineyards which produce some of France’s finest wines. Verden an der Aller, also called Verden (Aller) or simply Verden, is a town in Lower Saxony, Germany, on the river Aller. It is the administrative centre of the district of Verden. The nearest large cities are Bremen (35 km) and Hannover (90 km). 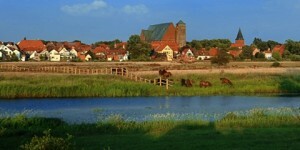 The official Verden website provides information in German only, but the Bremen tourist information site provides some information about the town in English. Havelberg is a town in the district of Stendal in Saxony-Anhalt, Germany. 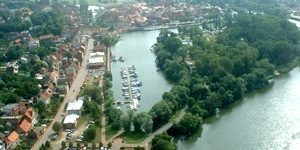 It is situated on the river Havel, and part of the town is built on an island in the centre of the river. The two parts were incorporated as a town in 1875. It has a population of around 7000. The Havelberg town website is full of information, but only in German. Formigine is a town and commune in the province of Modena, Emilia-Romagna, Italy, and has a population of around 32,000. 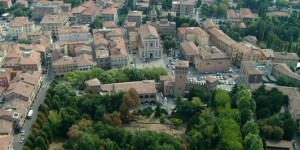 Formigine was founded in 1201 because of its castle, built by the Commune of Modena as a defence against Bologna. There is an extensive website for the Comune di Formigine, but only in Italian.